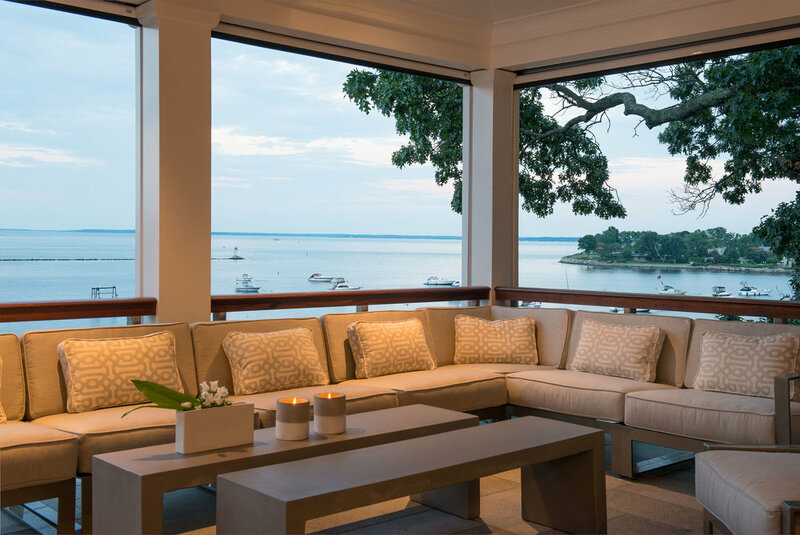 An extensive gut-renovation and addition to this property, resulted in a shingle-style home with modern interiors that take full advantage of the water views. The original 15-year-old home was partly demolished; an addition doubled its size. Challenges included extreme winter weather during the rough carpentry stages, rock ledge throughout project site and marrying the old with the new. 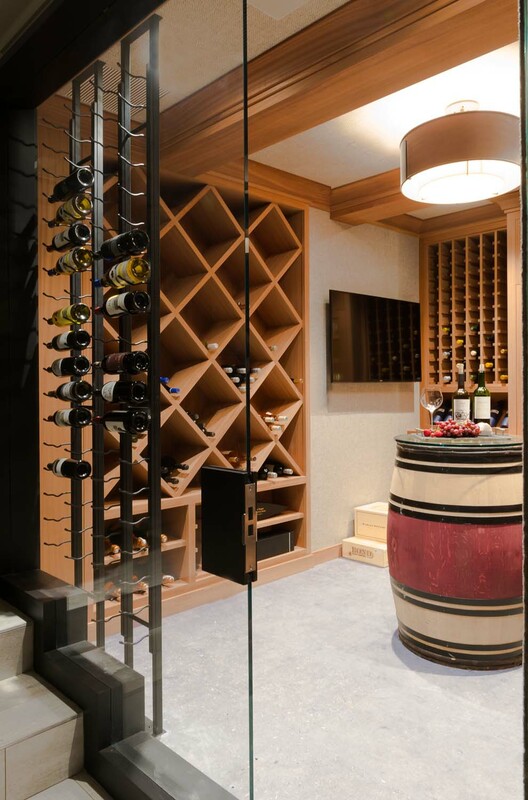 Special features of the new home include an infinity edge pool, a spa, a custom three-sided fireplace, energy efficiency HVAC systems, smart home controls and custom millwork and marble work.